The PoRG v2, in a nice blue box, now including a built-in power supply. I included a built-in power supply, so no external power supply is needed anymore. 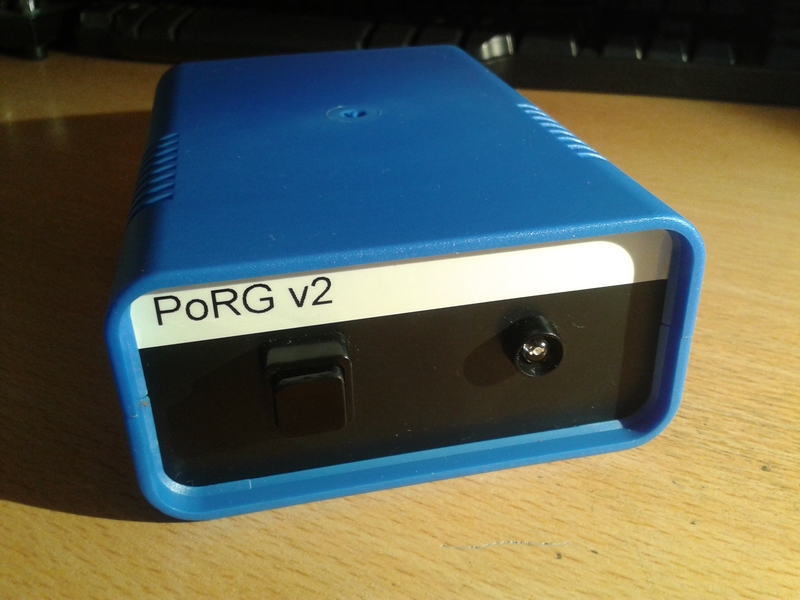 The built-in power supply also prevents the PoRG from moving around your shack due to the forces of the connected cables. 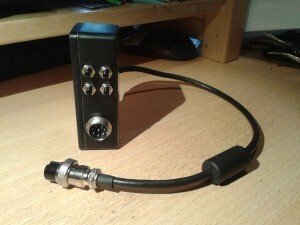 It has different connectors for hooking up the transceiver/receiver and antenna, making it more difficult to accidentally swap the cables, insert DC power into your radio and see smoke appearing through the vents of your rig.